Lion’s Mane Mushroom is known for stimulating Nerve Growth Factor, improving cognition and memory, and relieving depression. Lion’s Mane (Hericium erinaceus) is unique in the mushroom family both in appearance and function. Lion’s Mane Mushroom is extremely effective at stimulating Nerve Growth Factor (NGF) in the brain. Known for its powerful effects as a “brain tonic”, Lion’s Mane is said to have been used as a tea for thousands of years by Buddhist monks. To enhance brain power, and heighten their ability to focus during meditation. Lion’s Mane is a powerful catalyst for brain cell regeneration helping improve memory and cognition. The primary active compounds in Lion’s Mane are hericenones and erinacines. Hericenones help your brain produce more Nerve Growth Factor. And erinacines easily cross the blood-brain barrier to boost the production of neurons. Nerve Growth Factor. Lion’s Mane Mushroom prevents and treats nerve damage in the brain. Once past the blood-brain barrier, Lion’s Mane stimulates enzyme production that release Nerve Growth Factor (NGF). Nerve regeneration helps relieve neurodegenerative disease symptoms such as Alzheimer’s, dementia, and Parkinson’s Disease. Neurogenesis. Lion’s Mane stimulates the repair and creation of neurons. Boosting neurotransmitters and signaling that effects memory, learning, recall, and mood. Brain Optimization. Lion’s Mane helps eliminate brain fog. Restoring memory and mental alertness. And improves anxiety and depression symptoms. How does Lion’s Mane Work in the Brain? Lion’s Mane to the rescue. How does Lion’s Mane feel? Lion’s Mane (Hericium erinaceus) is a medicinal mushroom proven to benefit the brain, nerves and immune system. Unlike other mushrooms sporting a cap and stem, Lion’s Mane has long, flowing, white tendrils. Resembling a lion’s mane. Other names include Monkey’s Head, Bearded Tooth, Pom Pom Blanc, Hedgehog Mushroom and Satyr’s Beard. This parasitic fungus grows hanging off logs and trees. And is native to North American, Europe and Southeast Asia. In Japan, it’s called yamabushitake or “those who sleep in mountains”. Referring to the Shugendo sect of hermit monks and their long, flowing robes. As a nootropic, Lion’s Mane has been shown to be particularly effective in stimulating Nerve Growth Factor (NGF) in the brain. NGF is produced in the hippocampus throughout life. Modulating cholinergic receptors and neuroplasticity. [i] And is essential for learning. Nerve Growth Factor are special proteins that function to regenerate neurons. Lion’s Mane contains two unique classes of NGF’s – hericenones and erinacines which easily cross the blood-brain barrier. Lion’s Mane, like other medicinal mushrooms, contain high amounts of the antioxidant beta-glucoxylan and four other polysaccharides and polypeptides. Having a significant impact on enhancing your immune system. And decreasing tumor growth. Lion’s Mane has also been studied in reducing amyloid plaques. These clumps of beta-amyloid proteins block signals between neurons. And are implicated in Alzheimer’s and other neurodegenerative diseases. Lions’ Mane is also used to treat Lyme’s Disease, and digestive tract issues. Here we’re talking about Lion’s Mane Mushroom and its effects on brain health and chemistry. Lion’s Mane boosts brain health and function in several ways. But two in particular stand out. Lion’s Mane Mushroom stimulates the synthesis of Nerve Growth Factor (NGF). NGF is a protein that plays a major role in the maintenance, survival and regeneration of neurons. NGF is required by your brain to keep neurons strong and healthy. When various neurological disorders occur, your brain is unable to produce its own internal source of NGF. Lion’s Mane is effective in reducing anxiety and depression. Some even call it the “smart mushroom” for its ability to improve cognition, memory and work as an anti-depressant. A study by researchers in Japan worked with 30 women. The female subjects had been complaining about menopause, depression, sleep quality and other issues. Science once believed that the brain could not grow new brain cells. That once our brain developed during childhood, and we reached adulthood, we had all the brain cells we’d ever have. Now we know that neurons can regenerate. But that doesn’t mean they will regenerate. A number of health issues can contribute to neurodegeneration. All of these age-related changes are contributing factors to neurodegenerative diseases like Alzheimer’s, Parkinson’s and others. And anxiety, depression and mood disorders that affect quality of life. In one double-blind, placebo-controlled trial, researchers in Japan worked with 50 – 80 year old men and women. All suffered from mild cognitive impairment. The trial subjects received four 250 mg tablets containing 96% of Yamabushitake (Lion’s Mane) dry powder three times a day for 16 weeks. The men and women were tested at 4, 8, 12 and 16 weeks. At each of the testing periods, the subjects who had used Lion’s Mane showed a significant improvement in cognitive scores. And their scores were increasing while on Lion’s Mane supplementation. 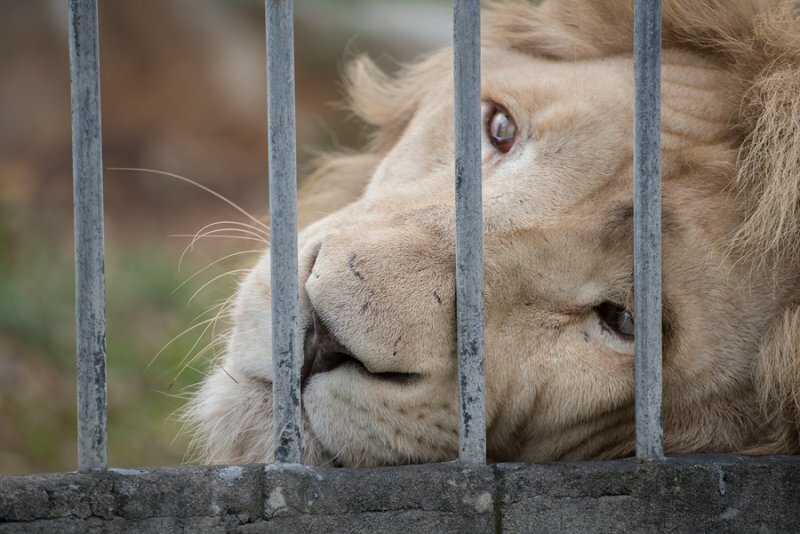 But 4 weeks after stopping Lion’s mane supplementation, their cognitive scores decreased significantly. You may not experience the effects of supplementing with Lion’s Mane Mushroom immediately. But many users report with continued use of Lion’s Mane, a boost in mood and mental energy. Some report it increases depth perception. And an improvement in sense of smell. Others testify to improved decision-making, the ability to solve problems and learning. Likely due to Lion’s Mane ability to improve neuroplasticity. The overall consensus is Lion’s Mane Mushroom’s ability to lessen anxiety, reduce depression, and improve concentration. 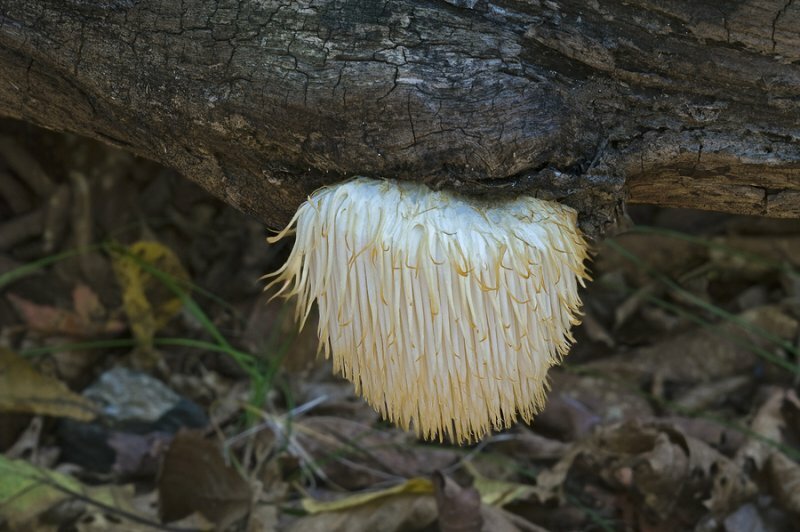 Lion’s Mane Mushroom has been used as a food and herbal medicine since ancient times in East Asia. And it has been reported in scientific research that Lion’s Mane promotes Nerve Growth Factor both in the petri dish as well as in animal and human test subjects. In this study, researchers examined the effects of Lion’s Mane on amyloid β(25-35) peptide-induced learning and memory deficits in mice. Amyloid β(25-35) peptide is implicated in diseases like Alzheimer’s. Mice were injected with the peptide on days 7 and 14 of the trial. And they were fed a diet containing Lion’s Mane over 23-days of the experiment. The results showed that Lion’s Mane prevented short-term and visual recognition memory reduction normally induced by amyloid β(25-35) peptide. In this study done with rats, Lion’s Mane extract was able to promote neuron regrowth after injury. Rats with gluteal nerve damage were able to walk again after consuming water containing Lion’s Mane extract. Dosing of Lion’s Mane Mushroom depends on the strength of the extract. It’s available in capsule or powder form. For Lion’s Mane 10:1 extract (30% polysaccharide), daily dosage is 500 – 1,000 mg taken 1 to 3 times per day. Other retail extract dosage of Lion’s Mane ranges from 300 mg to 3000 mg dosed 1 – 3 times per day. Check the label and see what the manufacturer recommends. And when first using the supplement, start with the lowest dose and see how your body reacts. Lion’s Mane Mushroom is non-toxic and considered very safe. So there are very few side effects reported. Some neurohackers report itchy skin from higher doses. Likely attributable to a boost in Nerve Growth Factor. Lion’s Mane has been tested in animals showing no side effects or toxicity even up to 5 grams per kilogram. Lion’s Mane Mushroom (Hericium erinaceus) as a supplement is usually offered as an extract. In powdered form, or in a capsule. Lion’s Mane Mushroom can be found in some of higher quality pre-formulated nootropic stacks. For example, Mind Lab Pro® contains 11 brain enhancing nootropic compounds including Lion’s Mane with the full fruit spectrum including hericenones and erinacines. When choosing a Lion’s Mane supplement, there’s debate over the best form of extraction to achieve the mushroom’s full medicinal benefit. Some say your best option is a hot water extraction. Another says alcohol extraction. Another claims both are necessary. But when it comes to mushrooms, saying that one is “more potent” than another is just too simplified to be true. This is as much an art as it is science. Look at the manufacturer’s literature and marketing material. And read the reviews on shopping sites as well as forums. And find out what works best for you. Plain Lion’s Mane: Pure, powdered mushroom. Often freeze-dried, and the cheapest form available. Can be added to water, juice or smoothies. Lion’s Mane Extracts: A more potent form of mushroom. Often presented as 14:1 or 10:1 extracts (14 pounds or 10 pounds reduced to 1 pound of extract). Standardized Lion’s Mane: Processed to provide exact levels of active ingredients. You can get Lion’s Mane standardized to 30% and 50% polysaccharides (the active hericenones and erinacines are metabolites of polysaccharides). Lion’s Mane tea: Since this is a popular mushroom in the kitchen, the taste is acceptable. But it’s hard to get a handle on how much actual active ingredient you’re getting. Amycenone®/PLM-Fraction: This “branded” product is standardized to Hericenones 0.5%, Amyloban 6%. It seems to target a lesser-known Lion’s Mane active ingredient–Amyloban–which is positioned as a mushroom compound that fights beta-amyloid proteins. Originating in Japan, it is extremely expensive, and may be found in a supplement called Amyloban®3399. And if you decide to pick your own, before consuming any wild mushroom, make sure that it is accurately identified. Mushroom poisoning is a real problem if you pick the wrong one. For a full list of Mycology societies that may be able to help you, go to the North American Mycological Association website (www.namyco.org). We recommend using Lion’s Mane as a nootropic supplement. Your body does not make Lion’s Mane on its own. So you need to take it as a supplement. Lion’s Mane is especially helpful for regenerating brain cells. It prevents neurodegenerative diseases like Alzheimer’s and Parkinson’s. And it boosts long-term potentiation for memory and mental sharpness. By stimulating Nerve Growth Factor. Lion’s Mane also helps boost mood, tame anxiety and relieve depression. For a better quality of life. Start at 500 mg per day and see how it works for you. If you don’t experience a benefit, boost Lion’s Mane in small increments of 250 mg per day until you notice an improvement. You can buy individual Lion’s Mane supplements. Or you could try my favorite pre-formulated nootropic stack Mind Lab Pro® which includes the full fruit spectrum including hericenones and erinacines found in Lion’s Mane Mushroom. Lion’s Mane is a great compliment to a nootropic stack including Aniracetam, Alpha GPC and Omega-3’s for an immediate cognitive boost. I had been inline speed skating to strengthen my legs and ankles for tennis for several years on skates that were too tight. This was at age 55. As a result I developed compression neuropathy on both feet after a few hundred hours of skating. The pain became very intense and I tried everything but nothing seemed to work so I did some research and discovered Lion’s Mane. Since I fully understand the potential of mushrooms to do some amazing things(FSU 77 LOL), I was confident it would help somewhat. I ordered it along with Super B’s and after 6 weeks or so, both feet were 80-90% back to normal. There is no more pain!!! That was 3 years ago and I have taken a two month dose twice since then. At 62 I am almost as quick as ever and I am quite fast around a tennis court so am looking to play another National Tournament soon. I have not taken a new IQ test lately but am sure it might have raised it even a few more points. After all, growing a few more neurons in the brain is a good thing. Thanks Peter for sharing your experience with Lion’s Mane and the B-Vitamins. I’ve had amazing success in turning around my health using nootropic supplements. And why I started Nootropics Expert. It’s always gratifying to hear from someone who shares some of the benefits that I’ve experienced. Im confused how much Lions Mane do I take. I have it in powder form would 2 teaspoons a day work. No directions on pack can someone please help Im so keen to use. Colin, check the manufacturer’s website and see if they have dosage instructions for their Lion’s Mane. You can safely use up to 3 grams per day. But you may want to get yourself a small scale to weigh it. Your are absolutely right. My mistake. Math was never one of my strong subjects in school. Much appreciated and it has been changed. thanks for all the useful info and research! Any brands that you recommend and trust for effective lion’s mane supplements? i’m a bit overwhelmed by the options and the many contradicting reviews. Ronen, great question and this is an ongoing issue with finding quality supplements. Please see the article I wrote recently on choosing quality supplements here > https://nootropicsexpert.com/7-tips-for-choosing-the-highest-quality-nootropic-supplements/. I know the Lion’s Mane Mushroom in Mind Lab Pro has been verified and guaranteed. You can try a search for “Lion’s Mane Mushroom” AND “USP Verified” and see what turns up in your part of the world. First look for “USP Verified” or “NSF International” on the label. And “Certified USDA Organic”. Some supplement manufacturers like Swanson Vitamins do in-house and third party testing. Then put their own seal “guaranteeing” that what’s advertised is actually in the bottle. Finally, after you find a winning contender check out the customer reviews and see if verified buyers agree to the company claims of potency. Hi David, i just wanna thank you for this amazing website and the wonderful book you gave us, thank u.
Rashed, it could be Bacopa that is causing your problems. Try eliminating Bacopa for 2 – 3 days and see what happens. If there is no change then eliminate Lion’s Mane and see if you experience an improvement. Are there any other ingredients included in either supplement you are using? Or are they both plain extracts? One thing I’ve learned over and over again is not every supplement is right for everyone. Each of us is unique. And how we respond to various supplements. I enjoyed your video on Lion’s Mane Mushroom, This is a nootropic I have heard of before but just thought I would give it a try but upon looking for chemical named you mentioned, I was unable to find anything similar and found different brands have different ingredients. So I am dumbfounded what will be the best quality to optimize my brain. As you said 1-10 20% (a chemical name I can’t pronounce nor spell ) I could not find anything similar on any labels. And the others looked different as well. What should I be looking for, Are the mentioned above decent quality? Thanks for your feedback, Your channel is extremely informative and well researched, When I ask my Doctor or any dr about supplements they are quick today they can not comment as they are not FDA approved = They don’t pay me so I will not recommend them. I know how much research goes into tour work and if you ever start a patreon page please link it in your videos as I would love to keep this channel going and expand into other areas of nutrition and supplementation. I read a lot myself but as you know you will read one article about a supplement or food that raves about its benefits only to read another that list nothing but negatives. That is why I would love to see you expand on that, I hope I am not rambling, I just want to be a supporter of the channel. I bring this up because of as I am a daily eater on Tofu, I have read some articles that eating Tofu leads to memory loss, even dementia- I don’t know how much proof there is to that if any so I got concerned as I consume a lot of it daily. Thanks for the informative videos! Meanwhile, I’m not familiar with the products you mentioned in your comment. And the thing is no one has a definitive claim to having the most effective Lion’s Mane. At the moment the best I can suggest is read the “Available Forms” section of this post. Then compare the “Types of Lion’s Mane Available” bullet list (the first three bullets) with label descriptions on the supplement bottles you are considering. Once you’ve narrowed down your list of 2 -3 Lion’s Mane supplements then read the reviews for each closely. I realize this is a very ‘unscientific’ method of selecting a supplement. But the bottom-line is we want something that works. Reviewers are often the best source of that information. I have advanced CIDP with lots of nerve damage. Will lion’s mane helpregrow mylin and damaged nerves. I’ve been taking 1 ml Host Defense 2X a day for one month. No change yet. Bob, Lion’s Mane helps repair and generate new neurons. But not myelin. The only nootropics I’m aware of that have been shown to restore myelin are Sulbutiamine: https://nootropicsexpert.com/sulbutiamine/. And some of the B-Vitamins. Use the search function top right of this site and search for “myelin”. You’ll have to read each search result carefully because some mention “myelin” but don’t actually help repair it. Omg, that Mind Lab Pro is too expensive for me so can you recommend another that will probably yield the same results for under $25. I killed my brain cells from all this stressing which in turn has cause me Adrenal Fatigue along w/Periomenopause for the past probably 5yrs. Doctors wanted to make me mentally insane but I knew it was not that and so glad I refused rx drugs. Im so glad I found this article and your wisdom. Debra, you can get started on brain cell repair by using Lion’s Mane. I just checked and found at least two options for under $25 from reputable vendors on Amazon. But my experience over the last 10 years is it’ll take far more than $25/mth. to repair a damaged brain. In case this is still relevant – I had significant adrenal fatigue and thyroid problems. I followed the Stop the Thyroid Madness protocol and got better. (There’s a website – just google stop the thyroid madness.) You do need a doctor to prescribe some of the recommendations, and you do need to get some labs run, but I found it to be worth it. There’s also a facebook group called Adrenal Fatigue and Thyroid Care that is full of helpful people. I’m not trying to sell anything and I am not connected to the author of the website, I’m just sharing something that helped me. i have purchased the Lions Mane powder extract and i have started to take 1/4 teaspoon twice daily. Would you have any idea how much this would be in milligrams? I’m just not sure if I’m taking enough. Kathy, the only way to know exactly how much in mg of Lion’s Mane your getting from that powder is to get it tested in a lab. It’s the reason I prefer extracts from reputable companies. Or patented products by reputable companies that are supported by clinical trials. David I have something called idiopathic intracranial hypertension. Would be great if you already know what this is but if you don’t and it’s too much CFS and the Brain causing extreme pressure which in turn causes cognitive issues with memory and such. The pressure also causes problems with vision do to deterioration of the optic nerves,which eventually can cause blindness. I have lost some peripheral vision but thank God I have not gone blind. However the excessive fluid has caused me to have cognitive issues with function and memory. I am desperate to find an alternative solution and then what the conventional doctors recommend. Their treatment is with usually two different kinds of medication one called Diamox he has her Topamax both have horrible side effects and also causes more loopiness. If those don’t work their next solution is to do a brain shunt which is basically put into the brain to drain the fluid which then is drained by a tube into your stomach. I am looking for an alternative. Doctors don’t know why there is too much CSF fluid being produced in the brain and seems they have no care to find out why. Their approaches very textbook and seems they must receive a lot of money for shunt surgery as that is always the end result for all these poor people that have this. I refuse to go that route and I am looking for Alternatives and that’s why I am here. Lion’s mane looks like a great solution to the memory and the cognitive issues but can you suggest anything else maybe for the optic nerves and for the excessive CSF fluid? Natalie, Lion’s Mane may be a good option to start. Keep in mind that I’m not a doctor so please do your own research on each of these suggestions. And make sure they do not interact with any meds or other supplements you are using. Bacopa Monnieri is another: https://nootropicsexpert.com/bacopa-monnieri/. Is it safe to use small doses of valium and lions mane? I just bought some Lion’s Mane tablets and wanted to know how many I should take. Mine are 400 mg each so I think I’ll start with 2 per day and work my way up to 3 in a few weeks. Thanks for the info! Tim, is the Lion’s Mane standardized? If not then definitely one 400 mg tablet twice per day. You can safely double that dose. Next, I suggest you do a general search of Nootropics Expert using the search function top right for the keyword “dementia” and then for “Alzheimer’s”. Lithium Orotate comes to mind as one way to calm outbursts in mood. You’ll also likely find that some of the very basics may help including certain vitamins and minerals. Thank you for the very insightful article on Lion’s mane. I have a question concerning the compound of lion’s mane. 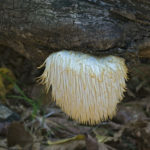 One product of Lion’s mane (Lion’s mane mushroom extract) that can be purchased online from a reliable seller is said to contain “40% whitanolides”. I find that a bit odd since nowhere did I see whitanolides being mentioned in association with lion’s mane. According to what I know, and also according to all other sources, including your article as well, lion’s mane contains polysaccharides, among other compounds, but not whitanolides, which are actually the main bioactive compound found in another adaptogen, Ashwagandha. Am I missing something? Or are whitanolides a compound which is also found in lion’s mane in some form? I’d appreciate your comment on this, Mr. Tomen. Thank you. Victor, you are not “missing anything” and thank you for closely checking labels. Whitanolides are mostly found in the nightshade family of plants. And Lion’s Mane Mushroom is clearly not in the nightshade family. Either someone made a mistake in their label copy. Or are trying to full a “fast one” on the unwary supplement buyer. Thank you for your reply and clarification! I contacted the seller prior to writing my comment here and, yes, they said a mistake was made because their graphic designer used the template for Aswagandha, which they sell as well, and forgot to change the ingredients; it’s supposed to be “40% polysaccharides”, not “40% whitanolides”. They said the mistake would be corrected as soon as possible. Hello David I love the job that you do and it’s really changing the life of me, my family, parents, friends and relatives. Please can you put references about the studies that you mention. Renos, the references are as Roman numerals beside each study. Scroll to the bottom of the review to the “REFERENCES” section accordion. Click the arrow and all the clinical studies are there including “source” links to the original studies. Hi David, I was wondering if you could shed some light regarding the decreased cognitive function of the patients that stopped supplementation you referred to in your video. Was the regression comparable to their cognitive ability before taking lion’s mane or was the significant decrease you spoke of pointing to an ultimately negative effect? Basically I’d like to try it out but don’t want to have my base line cognitive ability suffer if i’m unable to keep up constant supplementation. Robert, the clinical study you are referencing was done with patients suffering “cognitive impairment”. Their cognition improved while using Lion’s Mane but returned to their baseline when they stopped using it. Your concern is legitimate to a point because most people who start using nootropic supplements find that their brain starts working better. And are reluctant to stop using nootropics because they may go back to the same cognitive issues they were dealing with before they discovered nootropics. But that’s our choice. Either support our brain by using nootropics. Or continue suffering with whatever issues we are dealing with now. Nootropics saved my life. So I’ll continue to use them for the rest of my life. Because I don’t want to go back to the way I was feeling 6 years ago. I never had problems with edible mushrooms. Some people have reported itchy skin at higher doses. Likely has something to do with it’s affect on BDNF. But that is the only side effect I can across in all the studies. It could be that Lion’s Mane is just not for you. Hi, thanks for your work, I appreciate that you try to be honest and not only selling for the sake of merchandising… Youtube have a lot of pseudo “neurohacker”. I’ll always appreciate honesty and impulse the work of people striving for it. I did get out of any sugar product as I can ( no process food or sugar candy ) My favorit sugar is dark chocolate with a tiny stewed fruit 4 times in a week. I m 25 years old and have no health problem, apparently I m adhd, but another psych told me I was not. I should probably do a blood test, it has been 5 years without doing one. doing this, because I always liked biology/zoology & futur science. I hope to share my own review with people after my own self experimentation. I did use ritalin for 1 year last year. ( it comes out being a very BAD DRUG ), prior this year, I was 4 years on smoking weed for “anxiety” something I get out of it, by thinking more harder on what really it is about. – Smoking weed seams not a good idea in the end, I heard about cbd for anxiety/muscular problem, but it’s still forbidden in my country. I always drinked a lot of water and try to be on a good diet since I m 20 years old. anyway thanks for your website and your work ! I’ll follow your channel closely on youtube as I appreciate your format and your way of presenting nootropics. Aeris, I’ll add Reishi and Cordyceps to my list to review here on Nootropics Expert. I just came across some very positive studies on how they work in the human brain. And they look like promising additions to many nootropic stacks. So thank you. Hello David, thank you for great work, I’d have a question. I just bought a 5:1 Lion’s Mane extract (30% polysacharides), 600mg per capsule. I’m curious about the extract ratio particularly. Does 600mg of 5:1 extract means it works like a 3000mg of pure powder? I wonder how much the “extract ratio” really brings to the table. I’ve seen 100:1 and 200:1 extracts (that was Tongkat Ali, le testosterone fixer) – does it mean plain powder is practically useless compared to the extracts? By the way, I’ve heard that LM inhibits some receptor (or something else…) related to libido, that wasn’t mentioned in your article. Just a hint, I think it’s worth checking out how serious it is. If a little offtop is permitted: what do you think about potentially dangerous additives to some supplements – for example magnesium stearate and titanium dioxide? Is it something to worry about? Solgar and other big companies use them almost everywhere. Raffaello, looks like your math is correct. It will take much more plain Lion’s Mane powder to achieve the same effect you would from an extract. But in this case, it’s best to leave it up to the manufacturer for specific dosage recommendations depending on their extract. I’m interested in a link to a peer-reviewed clinical study about Lion’s Mane and libido if you can find it. Additives in supplements are a major pet-peeve of mine and the reason I prefer getting my supplements from someone like Opti Nutra who make Mind Lab Pro and the Performance Lab line. Liza, good to here you are confirming what others are saying about this amazing nootropic. As long as you are following dosage recommendations and not experiencing any side effects you can use Lion’s Mane for life. But quality is the most important thing about this mushroom. Lion’s Mane grown in grain spawn is not as effective as mushrooms grown in their natural substrate. If you get a product that smells like grain then you’ll know how it was grown. It’s not dangerous, just not as effective. Hello David – my apologies if this was already addressed in a previous post or question, but it seems that the world of medical mushrooms is a huge topic of it’s own, and I was wondering if you had any plans to review more of these, especially Reishi. Perhaps it isn’t particularly remarkable from a nootropic perspective and that’s why it has not been addressed up to this point. Dan, thanks for bringing this up. I do plan on doing more research on other mushrooms and cognition. Chalm, Lion’s Mane extract labels should indicate the percentage (%) of polysaccharides it is standardized to. And the relevant metabolites in this mushroom for cognitive health are hericenones and erinacines. They may be ‘alcohol soluble’ but that doesn’t necessarily mean they are extracted using alcohol. hericenones are erinacines are both terpenes/terpenoids, says the research. I linked in a later comment to an overview of that specific research but I guess it was filtered out as spam or so, I don’t see it ? Terpenes will be lacking mostly in a water extract because such extracts only contain the water solubles, the rest is mostly or completely filtered out AFAIK. No matter what having a guaranteed % of terpenes in a powdered LM extract seems like a good thing to me for LM which was the reason for my comment here. Polysaccharides is a very broad term and also includes many useless things such as chitin, starch and additives such as dextrin. Only beta-glucans are relevant polysaccharides says research, but that said, glucans are also not relevant for the brain boosting you’re expecting from a Lion’s Mane extract I think. They are immune modulators, not NGF-inducers, right ? Specifying polysaccharides was a quality marker 5 years ago but no more now that we have the Megazyme assay which can accurately determine beta-glucan % ! the relevant metabolites in this mushroom for cognitive health are hericenones and erinacines. But those are terpenes (mero-terpenes and diterpenes, resp.). Polysaccharides, with all due respect, are irrelevant here because they serve another purpose (and ‘polysaccharides’ is no longer a quality marker for mushroom extracts I think since starch and dextrin and chitin are also polysaccharides, but utterly useless). I guess you mean ‘beta-glucans’, a type of polysaccharides which modulate the immune system. Chalm, you’ve done your research and I agree with your assessment. Mushroom research is ongoing and I’m finding out more and more on this subject. Including a fascinating conversation with a manufacturing client of mine who gave me a lecture on growing substrates and how that affects quality. Yes substrate composition affects the quality and the composition of the metabolites in a mushroom, but in what way ? Wouldn’t it be great if manufacturers would share the lab test reports and guarantee the -lab-test backed- percentages of the relevant bio-actives to support their supplement quality claims ? Transparency is what I”m talking about. Instead we get this talk about ‘organic’ and ‘premium quality’ and/or some great story about history and research and whatnot. But the truth is in the numbers not in fact-free lectures and the marketing stories we see everywhere. We need more transparency !